Some pains have been taken to make these volumes as close to exhaustive, with respect to biographical material and literary output (including works which Poole did not author, but edited, commended, or otherwise supported), as possible. 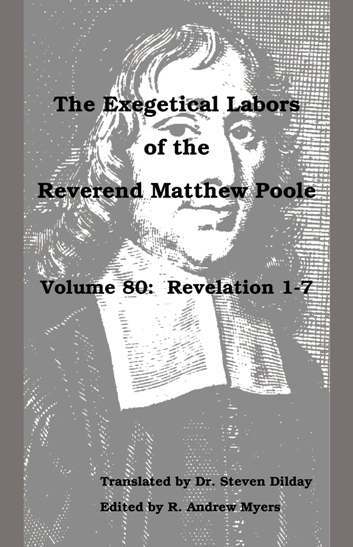 The Exegetical Labors of the Reverend Matthew Poole will be of surpassing value to any student of the Word, but particularly to the man who would understand the theology of the Westminster Assembly and its Standards. Happily, the theology of that reverend Assembly has been retained in its Standards, certainly the high-water mark of confessional orthodoxy; unhappily, much of underlying exegesis, the heart and power of the theology, has been lost or neglected. 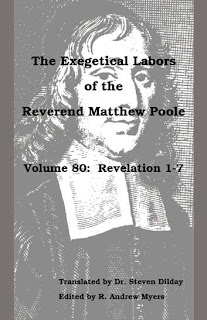 The Puritan theology books continue to receive some attention, but the Puritan commentary books are largely neglected. Few remember the names of Willet, Attersoll, Patrick, Durham, Jackson, or Mayer; their commentaries have fallen into disuse, and even the books themselves have become rare. Moreover, much of the exegetical fruit of the Reformation remains locked-up in Latin commentaries, inaccessible to most English-speaking Christians. The consequent disconnect in the minds of many between the Standards and the Scripture-proofs is a situation most undesirable. For New Posts, please visit the new website.